People have been building pyramids of all kinds for thousands of years. It is strange how cultures separate from each other end up replicating the same structure. 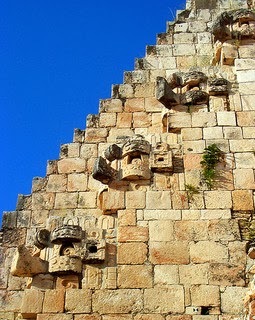 Just take a look at what Mayans, Egyptians and Thais built on their time for instance. There is something very fundamental about it and we still see it everywhere, particularly in organization structures. We have been conditioned to such organizations since we're born. You will always look up to an authority to tell you what's right and what's wrong. Whether that be the parents, teacher, drill sergeant or professor. This depends somewhat on the culture but often there's someone with the authority. Conformity with the masses is rewarded and those that do not conform are seen as exceptions. Conformity and pyramids belong to the industrial world. These control structures have been designed to produce consistent, predictable results. The whole purpose of the educational system is to produce citizens fit to wield the machines of the industrialist. This line of thought doesn't scale to the dynamic world of today. People don't talk about careers like they used to earlier. In the olden days it wasn't uncommon for people to spend their time within one company. These days it is common for people to move from position to position. Jobs get destroyed and created in an instant. In short the work life has become fragmented and more dynamic. As a result the way we think has to change. One of the most fundamental things we can change is the way we structure companies. The age of pyramids is over. 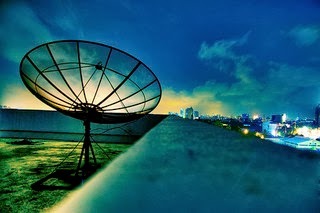 In "Why Employees Are Always a Bad Idea" Chuck Blakeman proposes another way to structure companies, a satellite dish. It overcomes some main issues of the pyramid and yields a more effective way to run a business while delegating the decision power to those who actually can use it the most efficiently. The main problem of a pyramid is that when you are at the bottom you always look up for direction. Especially in a big organization this is wasteful and you get to deal with issues like silos and office politics. Each middle manager has a turf to defend. What makes the higher levels competent in making decisions in behalf of the lower levels? There is an information asymmetry here. Those at the bottom actually know the issues the best and have likely the best idea on how to deal with them. How can someone higher up empathize? You can actually see this effect in action in Undercover Boss. If you watch an episode, you'll see just how clueless the CEO of the company might be. As a result of the CEO touring around improvements are made. But it doesn't have to be this way. If you fix the underlying system, there wouldn't be such issues in the first place. A satellite dish provides an entirely different way of governance. Rather than expecting someone higher up to make the decision for you, it delegates the responsibility to those who are the most competent to make the decisions. That is where the name satellite dish comes from. The person making the decision is right at the center of the dish. Depending on the situation this can be a different person. In an organization and culture like this there are no higher ups. Everyone is an executive and has the power to make decisions. This doesn't mean everyone is equal or that anyone can make decisions that could sink the ship. The amount of power depends on the amount of contribution to the whole and expertise on the subject matter at hand. Issues with possible company sinking consequences, or "below the waterline issues" as Bill Gore calls them, are best discussed with others. Doesn't this sound refreshingly different? It's not an utopia. Companies all over the world have adopted this less rigid structure and have developed their company culture accordingly. Rather than treating their employees as children and maintaining adult day cares, they treat them as adults, stakeholders. Besides being a more responsible way to run a business, these companies also do comparatively speaking very well compared to their pyramid brethen. Remember, everyone can, and should be an executive.